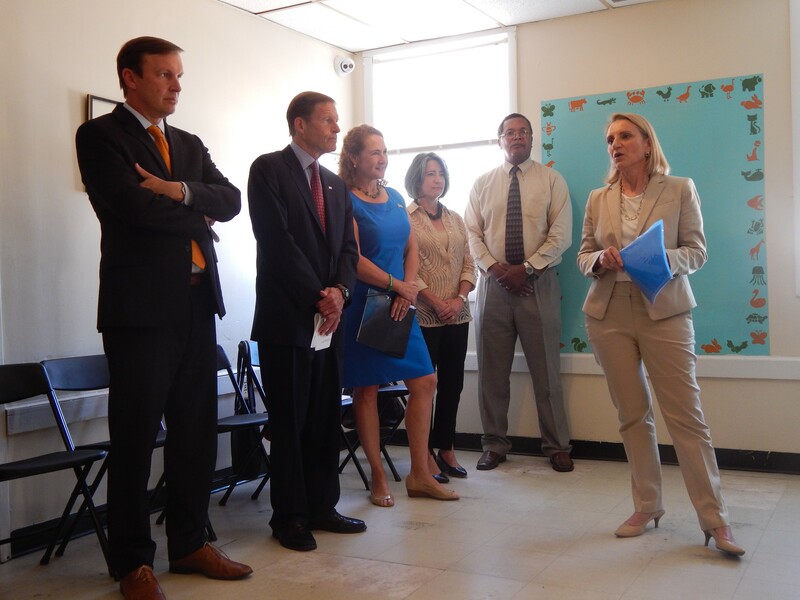 Housing Commissioner Evonne Klein, right, speaks at a press conference in Waterbury Tuesday. She is joined three members of Connecticut’s congressional delegation and others. State housing officials say chronically homeless individuals are considered “high need” because of the amount of support they require once they have been placed in homes. Since the beginning of last year, 981 “high need” individuals have been placed in permanent housing, according to Lisa Tepper Bates, executive director of the Connecticut Coalition to End Homelessness. In the greater Waterbury and Litchfield County region alone, Tepper Bates said, 43 chronically homeless individuals have received housing since October. 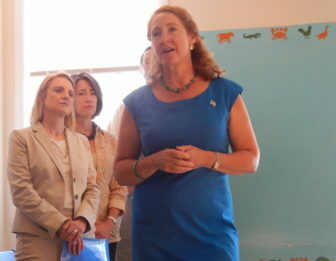 U.S. Rep. Elizabeth Esty speaks about ending homelessness at a press conference in Waterbury Tuesday. If the state meets its goal of ending chronic homelessness this year, Klein said, the next priority would be family and youth homelessness. Esty said some of the homeless youths are LGBTQ individuals who felt unwelcome in their own homes and ran way or, in some cases, whose parents had thrown them out. Klein said she is seeing this trend as well. Continuing to tackle homelessness requires a steady stream of state and federal funding, which Murphy was quick to point out. He said the United States does not “dream up enormous dreams” anymore, but should start doing it again – especially with homelessness.